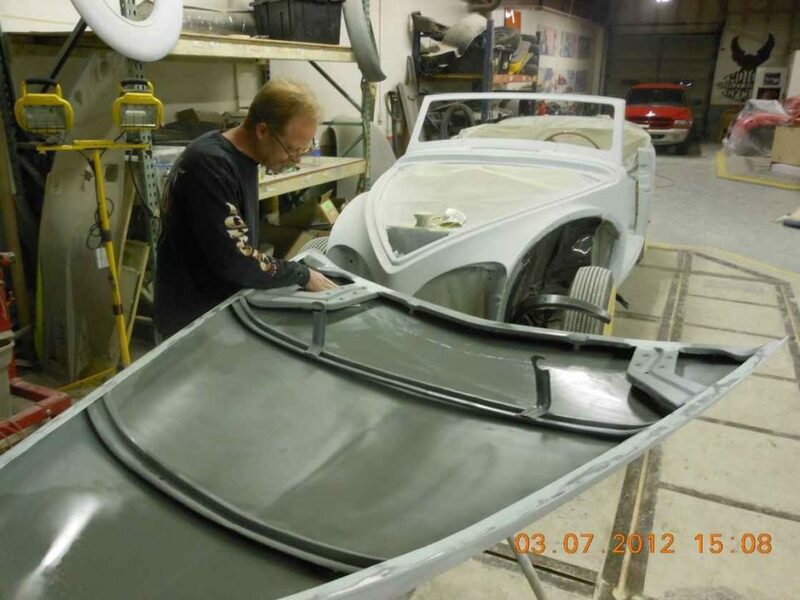 I have been asked to write about the acquisition and restoration of my 1940 Lincoln Zephyr Continental Cabriolet. Let’s just call it The Continental for short. It all started when the kid across the street was in high school. He had some buddies that hung out with him and they worked on his VW bug. Upon graduation, he went into the navy, and I inherited his buddies. Turns out they were nice young men who had a passion for cars and wanted to help me in the garage with my restoration efforts. Ryan graduated and enrolled in Colorado State University in the mechanical engineering program perhaps partly as a result of working with me. I am a professional engineer after all. In the student center one day, he met a coed who he chatted up about his interest in old cars. She said that her grandpa had died, and her mom had an old car for sale. 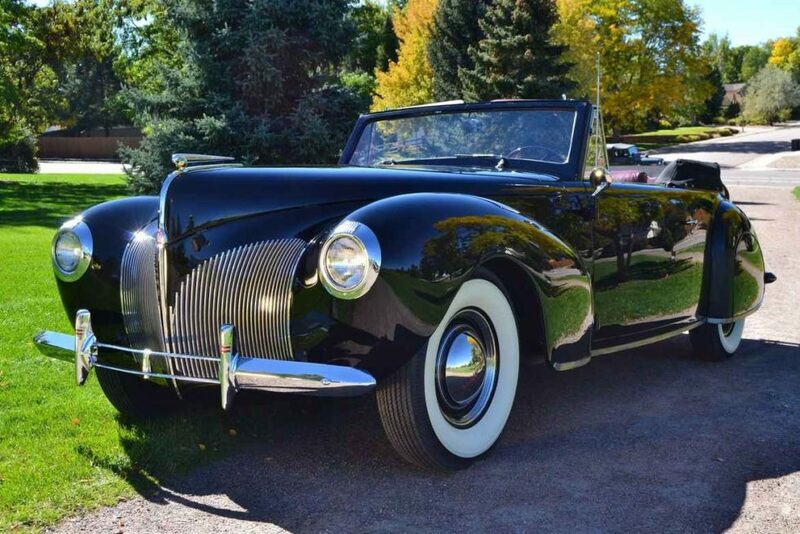 Said that it was a Lincoln convertible. Ryan called and asked me if I was interested in it. “Get a picture,” I said thinking it was probably a rust bucket post war car. What I got was a picture of the car with only the grill and half the hood showing under a car cover. Is that a Continental? Not likely as they are very rare – only 300 were ever made, but I thought I better take a look. 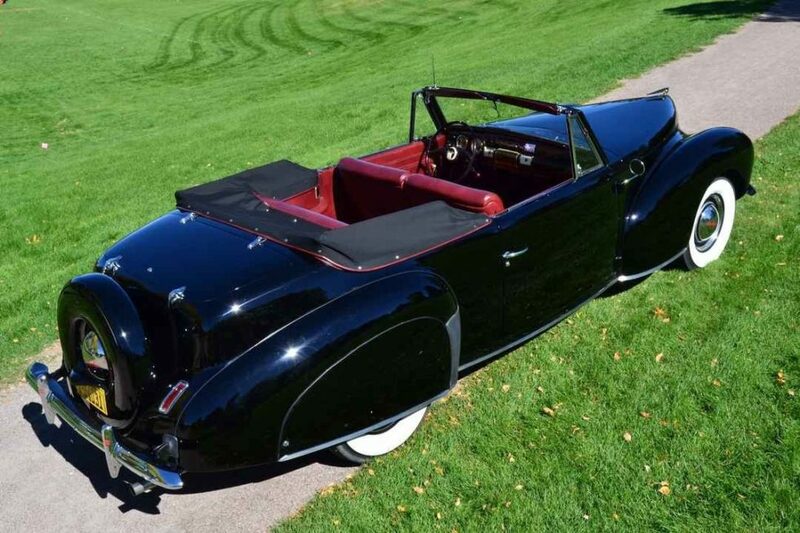 I went to the address in Fort Collins and much to my surprise there it was, the 1940 Continental convertible in semi-restored form. It had been painted, but the interior was totally gutted and piled into the body. I could see that it was a very restorable car that was basically rust free. I was very interested. As fate would have it, grandpa had signed over the title to the daughter and his two grandchildren. 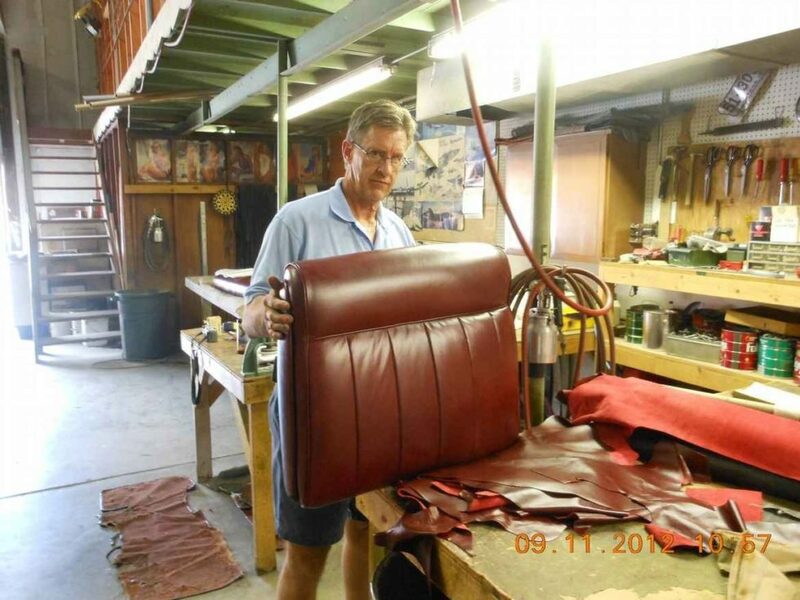 The mom said that she had been contacted by a guy who wanted to help her sell it on ebay. I had my check book with me and negotiated an immediate sale. The two grandkids were in the house, and all three signatures were signed conveying the title. I asked that she keep it in storage for the rest of the winter at which time my neighbor, who had a heavy equipment trailer, helped me fetch it to my garage. Chapter Three – Fixer-Upper or True Restoration? With the car in my shop, I got acquainted with it and started the restoration. The interior was all there, including a poorly done top. It was all piled in a heap. The paint job was strictly low-budget that needed to be redone. However, the body frame and brakes were basically sound. The engine ran, and the transmission worked. I drove it to some EFV8 activities with the old seat installed but nothing else. On the way home one time there was a bad “knock-knock” in the engine. Uh-oh – rod gone? I dropped the pan and checked the bearings. Nothing loose. Turns out the rod was hitting the bottom of the dented pan. Decision time. I was familiar enough with restoration activity to know the difference between a “Restored car” and a “fixed up car.” I had always wanted a true classic car, and this is certainly one of the finest. I made the decision to go all the way with the restoration. The engine and transmission were pulled, and the body was media blasted to get back to bare metal. The engine was sent to Blue Oval in Englewood for total disassembly and machining. The long arduous process of restoration had begun. The most important restoration tool is a fat checkbook. All new engine parts, body work and paint, all new custom sewn leather interior and top, acquisition of a rebuilt Columbia two speed rear end and on and on. When I did a seminar for the Early Ford Club, I found that I had used 29 skilled and unskilled helpers, and 29 major and minor supply sources. The checkbook contributed about $85,000 but the car is really done correctly. It was finished just in time to take it to Lake Tahoe for the 2013 Golden Jubilee. It was there that the car was judged and received the 1st Place Concourse award. It was very critically judged by the foremost experts who indeed found some minor restoration faults, which have since been largely corrected. As part of the Jubilee activity, there was a driving tour that went over three high altitude mountain passes. The car had about 100 miles total driving break-in. 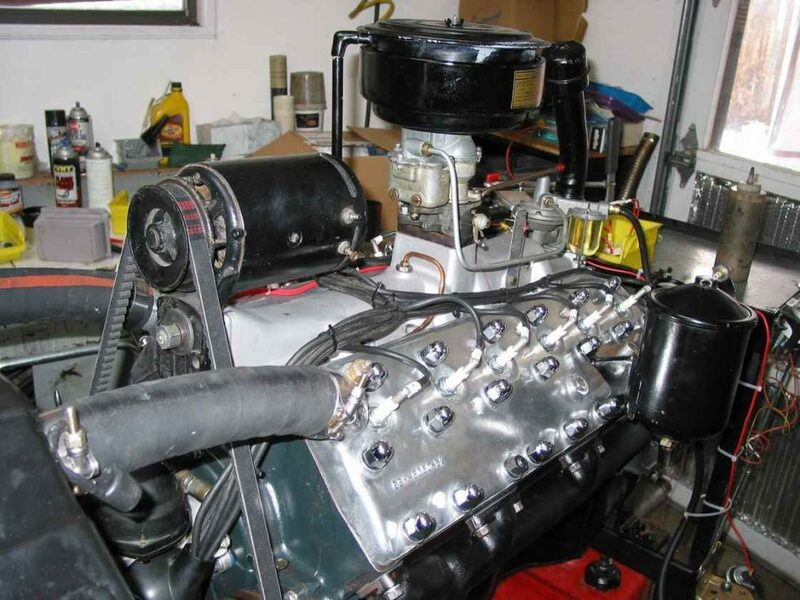 It ran like a top with the 12 cylinder engine pulling most grades in high gear. No heating problems, and the brakes worked great. The next real outing was the 2016 LCOC Western National Meet in Westminster, Colorado where it was once again judged and given the Best Primary Division award, which is a nice big loving cup that holds a huge amount of Halloween candy. Chapter Five – What’s In a Name? A car of this quality deserved a name. We decided to call her Margaret after Margaret Thatcher, the ex-Brit prime minister as they are both tough old ladies with a lot of class. The awards are very gratifying, but they were not the reason that I restored the car. It is a thing of beauty that deserves to be preserved and admired by myself and others. I hope that Lady Margaret shows others her beauty and elegance for many, many years to come. She is a true classic. 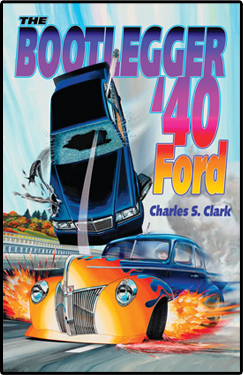 This article was published in Bootlegger Book Blog and tagged 1940 Lincoln Continental, hot rodders, hot rods.